How to Recruit Millennials | Challenger, Gray & Christmas, Inc. The recruiting tools that worked for baby boomers and generation X will not necessarily work for millennials. Numerous surveys have shown that many are driven by factors other than traditional compensation and health benefits. There are 73 million millennials between the ages of 21 and 37, and employers will need to appeal to them as the boomer generation grows older and retires from their positions. 76 million people were born in the boomer generation, and while many boomers will continue to work well into their 60s and beyond, thousands are retiring from their positions daily. This should open opportunities for gen X workers to move up and millennials to have more opportunities for advancement. The youngest Baby Boomers are turning 53 this year, and including immigrants, 80 million boomers will retire over a period of 20 years. That means, roughly 4 million boomers retire per year. With this onslaught of retiring professionals plus an economy with 4.8 percent unemployment, companies will scramble to fill important leadership-track positions. Companies are going to have to work for the attention of the most talented millennials. This cohort has struggled to find footing in the workplace, often stereotyped as notorious job-hoppers with fragile egos needing constant validation. However, this characterization is due in part to the generation’s dismissal of traditional compensation packages. Surveys have shown that millennials want to be engaged, value mentorship and good management, want opportunities to take on more meaningful work, and want their work to be enriching and rewarding in a way that transcends the simple pursuit of money. The appeal of health and retirement benefits that was once thought to be the gold standard in recruitment is not enough for millennial workers. And while the fun, hip environments of Silicon Valley tech firms worked to attract gen X workers, millennials seem to see through this and want to actually make a meaningful impact on society while maintaining their autonomy to pursue their own goals. According to a recent Gallup poll, 87 percent of millennials report job development and career growth is very important, however, only 29 percent are engaged at work. Actively disengaged workers not only create a drag on productivity, they also promote dissent leading to a toxic work environment. Millennials also report the desire for work-life balance that goes beyond the 20-minutes of breakroom table tennis or 30 minute nap in Google’s sleep pod. They want the time and support to explore extracurricular activities that align with their personal beliefs and goals, while also receiving skills to grow professionally. Sixty-two percent of millennials become more engaged if they feel they can socialize with their managers. Survey after survey indicates workers leave managers, not jobs. Because millennials typically marry later, are less concerned about pursuing money, and are more willing to jump at new opportunities, having a strong manager could potentially have an even bigger impact on retaining and attracting millennials than with other generations of workers. Your Mission Matters - What your company does and its impact on society make a difference to millennials. A clear statement of the company’s mission and a direct correlation to workers’ contributions to that mission strongly motivates this cohort. Not every employer has to have an angelic mission, but companies with products or services that are deemed harmful to the environment, people, or society are likely to have a more difficult time recruiting from the larger pool of millennials. Collaboration is Key – Millennials want a seat at the table and to know their opinions are heard and considered. 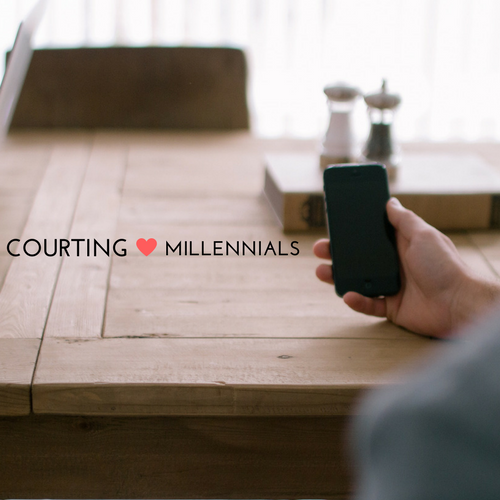 Offer mentors to millennial talent to help develop an open line of communication. Schedule regular performance reviews and listen to feedback to measure engagement and decide if the work is the best fit. Give Clear Opportunities to Advance – If you want to retain millennial workers, they will need to know they have the prospect to take on more responsibility. A mentor can also help to guide career development in this respect. Cultivate a Positive Corporate Culture – In addition to your mission, a positive workplace that fosters community, encourages exploration of hobbies and interests outside of work, and offers opportunities to give back will attract millennial talent. Find the Right Balance – Work-life balance has been a must-have in any company’s recruitment toolkit for years, and it’s especially true to attract millennials. Flexible work schedules, telecommuting, and remote work opportunities will go far in recruitment efforts.